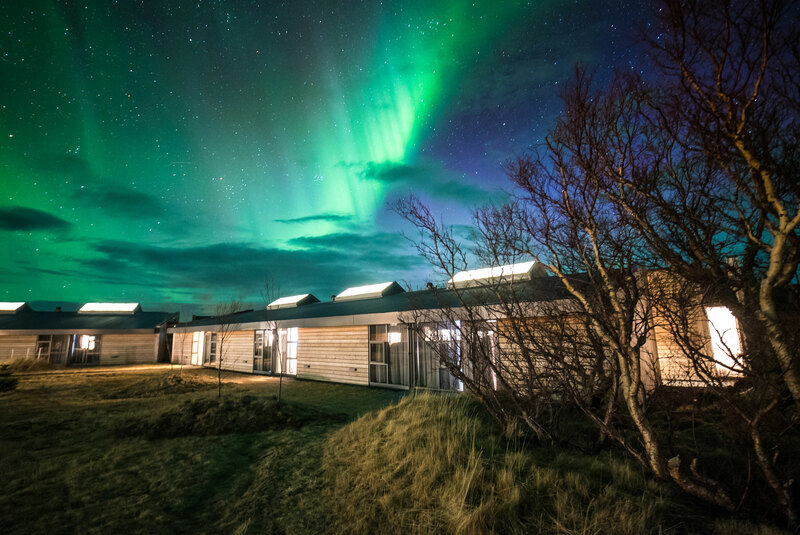 The golf course at Hotel Husafell is the first hotel golf course in Iceland to become GEO Certified®, a distinction which recognizes the resort’s commitment to sustainability and eco-friendly approach. GEO Certified® represents the highest standard of credibility and is an important symbol of great golf environments worldwide. The certification acknowledges that the golf facilities at Husafell have met a high standard in sustainability within the areas of nature, water, energy, supply chain, pollution control, and community. 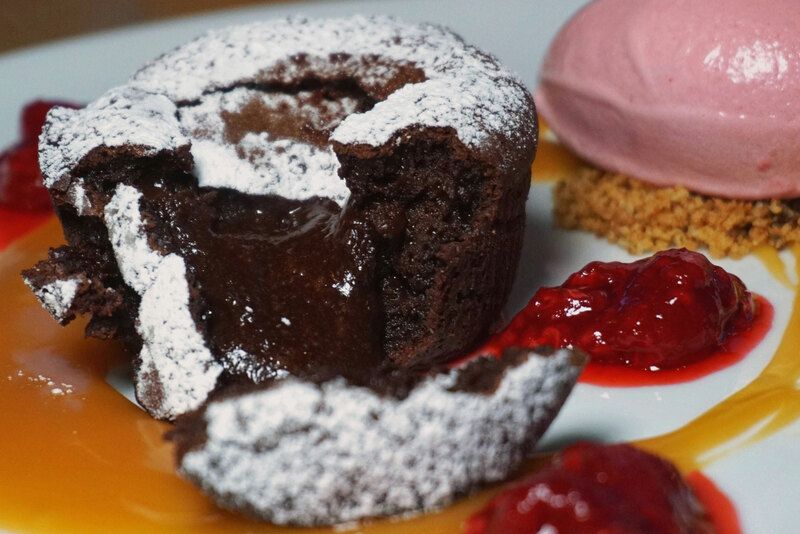 The GEO certification also highlights the efforts made by our four star resort to fully embrace and continuously improve our ecological impact and sustainability. 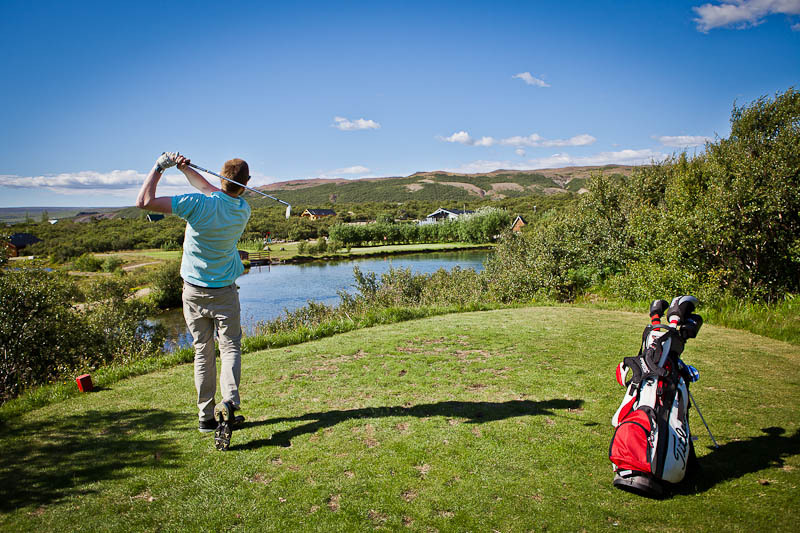 Located approximately 2 hour’s drive from Reykjavik, the golf course at Húsafell is a short, 9-hole layout, integrating harmoniously with a pristine natural setting. Accessibility to the golf course is accentuated by a network of walking trails running through and alongside the course. The course environment is characterized by two adjoining rivers, the Kaldá and the Stuttá, extensive lava fields, waterfalls, natural scrub woodland and heath, and rugged uplands culminating in one of Iceland’s permanent ice-cap glaciers, Langjokull. The golf course is praised by GEO for its seamlessly integration within a diverse mix of outdoor activities and an emphasis on the natural environment and sustainability. Husafell golf course was also applauded by GEO for affordable pricing and a casual atmosphere which encourages use by guests and other players of all ages and abilities. Hotel Husafell is very proud to have achieved this great honor and we’re celebrating with a 3-Day Midnight Golf Getaway. See you on the links!